Welcome to Croatia. This hidden European gem has become increasingly popular over recent years. This can be attributed to the truly beautiful features that this country has to offer. Croatia is filled with beautiful and pristine natural landscapes. Most promising are its' nationals parks that are filled with lush greenery, enhanced by the endless waterfalls surrounding it. With many cities and coastlines along the Adriatic Sea, Croatia is filled with breathtaking ports, and cities that have held their historical value and architecture. Walk along the magnificent streets and streams of Croatia to find true bliss. While Croatia is filled with endless forests and incredible wildlife, the must sees of Croatia are Plitvice Lakes National Park and Krka National Park. Both of these parks will provide you with the incredible sights of enticing water and magical waterfalls. Plitvice Lakes National Park is a UNESCO World Heritage site. It consists 16 interconnected lakes, so calm that you can see your reflection just as if it were a mirror. These lakes lead to the famous Plitvice waterfalls, that are comprised of water in the most beautiful blue tones, that you must experience with your own eyes. Walking around Krka National Park you will be mesmerised by the flowing water surrounding you, and the wooden bridge platforms in the park. Travel during the spring, and you will experience an incredible bloom in the lush greenery, which is only enhanced by the rush of clear water, melting from the winter snow. These trails will lead you to the breathtaking waterfalls of the park, some of which you can swim in. This large park will have you mesmerised at every turn you take.
! (https://images.unsplash.com/photo-1414862625453-d87604a607e4?ixlib=rb-0.3.5&ixid=eyJhcHBfaWQiOjEyMDd9&s=9c2085f2c3a6c1c0e55077a9913c88e0&auto=format&fit=crop&w=1489&q=80) Croatia is enriched with its' classic architecture from different era's. Many cities have preserved the beauty and buildings of their ancestors, creating the perfect place for endless strolls. With many cities located along the Adriatic Sea, the views from the city are upon crystal clear and blue, that only enhance these picturesque cities. Walk these streets, and you may even observe some familiar places, as many scenes from Game of Thrones are filmed here. Split is a Unesco-listed old town within the ancient Roman walls of Diocletian’s Palace. Walking around this town, you will be actually walking through and along a magnificent palace. This famous port town provides mesmerising views of the sea as you walk amongst the shops and cafe's of the area. The Old City of Dubrovnik is another UNESCO World Heritage Site in Croatia. This city is known for its' massive stone walls that surround it, completed in the 16th century and still walkable today. The charming city is filled with shops, cafe's, and incredible restaurants. It is known as the Pearl of the Adriatic, and offers impeccable views of the water. Venture to other cities throughout Croatia, and you will be surrounded by beauty and left in awe. Croatia is also filled with many diverse museums, such as the, well known, Museum of Broken Relationships in Zagreb. The images alone will never do the waters of Croatia any justice. Blue and incredibly clear, it attracts people from all over the world. While there are endless activities offered in Croatia, such as snorkelling, cave expeditions, swimming, white water rafting, and more, none will show you Croatia as fully sailing or yachting will. By boat you will be able to visit the many small and pristine islands off the coasts of Croatia. Inquire through LVH Global, to rent your luxury vessel to show you the beauty and splendour that is Croatia. Don't miss out on all that Croatia has to offer! Consider booking your next vacation with LVH Global. 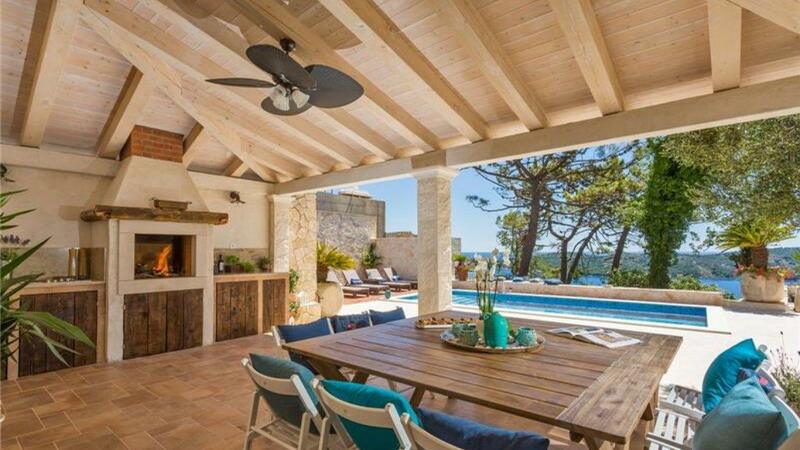 Click below to view our wide variety of luxury properties available for rent in Croatia.